The Buffalo Narrows program consists of two teaching artists. One is an up-and-coming Indigenous artist and the other a performer with the Saskatoon Symphony Orchestra who inspire and encourage active participation in the arts. The teaching artists also help foster in young people creativity and personal growth. Arlene Shiplett and Forrest Eaglespeaker are the teaching artists leading the three-day program. They are providing a songwriting workshop for the older students while younger ones are writing a rap song about the life of Mozart. On Thursday, all of the students will come together and perform the pieces they have been working on during the program. The kindergarten students will sing the song “This Old Man” in Cree. One of the workshops is called “SoundScapes” and it teaches the participants how to create music with the sounds that surround them. Outside of learning music and songwriting, there are life lessons that can be incorporated into lifelong positive characteristics. He adds music is a good way of breaking down the cliques that tend to form in high school. After the students perform on Thursday, the audience will have the opportunity to see both Shiplett and Eaglespeaker perform solo and together to conclude the program. Eaglespeaker, who is originally from Calgary but now resides in Saskatoon, says he uses music as a way of reclamation and calls it a modern adaptation of traditional storytelling. Shiplett is a horn player and teacher based in Saskatoon. She has traveled throughout northern Saskatchewan for over a decade inspiring youth through music. She performs with many groups including the Saskatoon Symphony Orchestra and the Prairie Winds Woodwind Quintet. Eaglespeaker provides vocals and guitar in the band The North Sound. 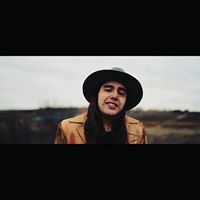 He is a recipient of the Saskatchewan Indian Gaming Authority (SIGA) Indigenous Artist Bursary and was nominated for Best Roots Artist Of The Year at the 2019 Saskatchewan Country Music Association Awards. The North Sound’s hit song, “Between the Ditches”, can be heard on MBC Radio.